Developer has big plans for vacant corner on Auburn Blvd. 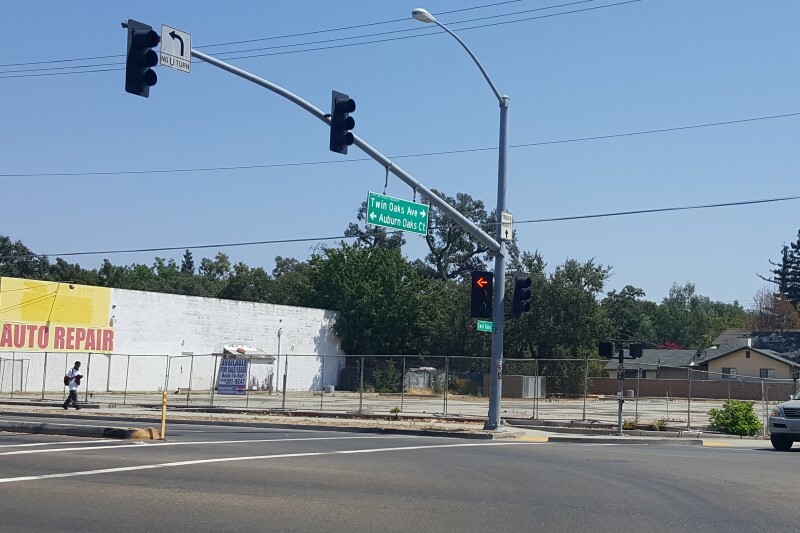 A long-dormant corner at Auburn Boulevard and Twin Oaks Avenue in Citrus Heights could soon become an attractive 9,000-square-feet shopping plaza with outdoor seating and parking in the rear — all that’s missing is tenants. Developer Hemanta Agarwala has been ready to build the Twin Oaks Plaza for the past 10 years, but struggled to find tenants after the market “fell through the crack” in 2008. Since acquiring the parcel in 2007, he’s invested about $1 million into the property already, including underground improvements, laying the foundation, and getting approval for the project from the planning commission. “The only thing left is vertical,” Agarwala told The Sentinel on Thursday, referring to walls being erected at the site. The city’s planning division confirmed the project has already been approved by the planning commission, with only a building permit needed for additional construction. Agarwala, a general contractor and licensed mechanical engineer, said he’s enlisted the help of a local commercial broker with Remax Gold to help find tenants for the new Twin Oaks Plaza. A leasing brochure for the property shows a rendering of the design with seven potential tenants, but Pathak said the plaza would also work for a sole medical or professional business — or could also have as many as eight businesses. “We have a lot of flexibility at this point,” she said. The property is listed for lease at $2-per-square-foot, with purchase of the entire .61-acre parcel also listed as an option for $1.4 million. Pathak said the corner location would be great for retail, with the signalized intersection also being a plus for access. “It’s literally minutes from the freeway and Roseville border,” she said. The commercial broker said the owner also isn’t looking to get all tenants lined up in order to begin construction on the building. “If we can even get tenants for a good portion of the building, the owner will complete the building,” she said. Asked why the property hasn’t leased already, Pathak noted nearby vacancies and said getting tenants when the property has yet to be built is also a difficulty. She said the economic downturn played a role, but indicated there has been more interest in the property more recently. Auburn Boulevard Business Association President Richard Hale told The Sentinel he initially thought access to the property could have been a concern for potential tenants, but after reviewing the leasing packet and seeing the site plan he said access wouldn’t be a problem. Plans show 36 parking spots in the rear, which would be accessed from Twin Oaks Avenue. Both northbound and southbound traffic on Auburn Boulevard would be able to access the lot by turning on Twin Oaks Avenue at the traffic light. Hale, who also owns Walt’s Auto Service on Auburn Boulevard, said he’s confident that future improvements planned for “Phase 2” of the city’s Auburn Boulevard Complete Streets Revitalization Project will help boost business and fill vacancies on the boulevard. “You fast forward a few years from now when the [revitalization work] is done, I think parcels like that will be developed and looked at in a different light,” Hale said. The boulevard project was authorized in 2005 and envisioned a revitalized and enhanced section of Auburn Boulevard, from Sylvan corners to Interstate 80 — a corridor that is home to over 200 businesses. Due to the size and scope of the effort, the nearly two-mile long project was broken into two phases, with Phase 1 covering the section from Sylvan corners to just beyond Antelope Road, and Phase 2 covering the remaining section up to Interstate 80. Phase 1 work came with a price tag of more than $15 million and included undergrounding utility wires, adding bus pull-outs and nearly 10,000 feet of bike lanes and sidewalks, planting 230 new street trees, and installing energy-efficient street lights. Similar changes are being planned for Phase 2.